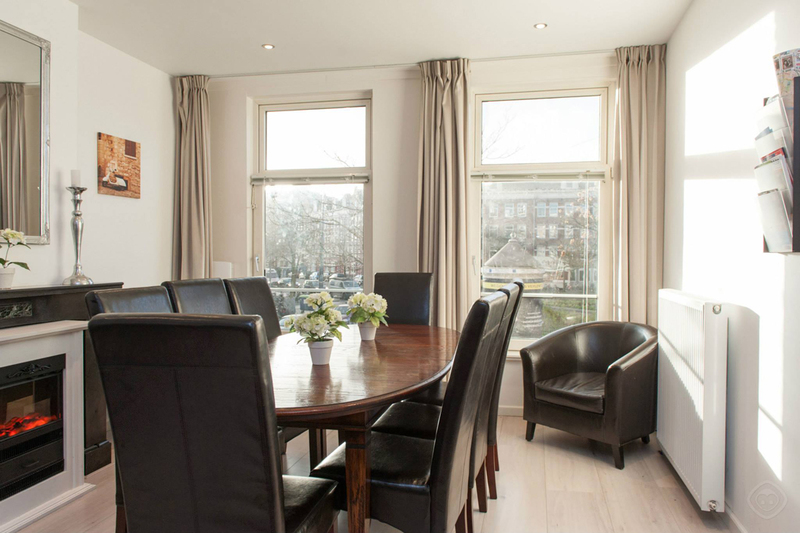 Hugo Plaza is a bright and modern holiday apartment in the lovely Westerpark neighbourhood in Amsterdam West. 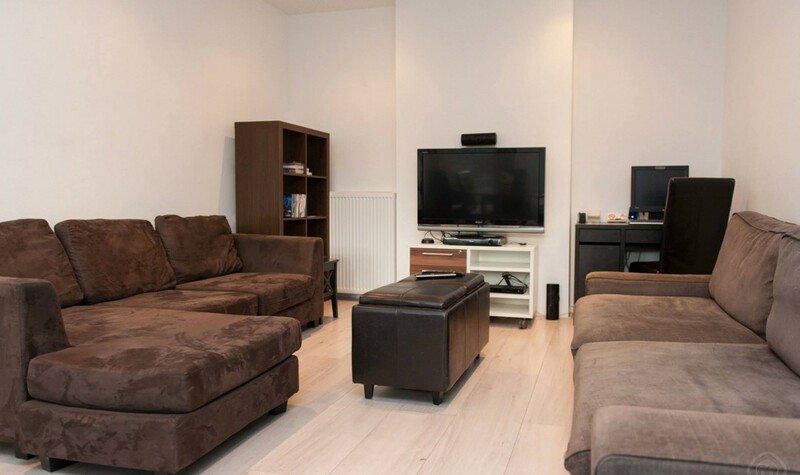 The apartment is well equipped with all that you need for a wonderful time in Amsterdam. The owner even offers a free valet parking service, there is a Nespresso coffee maker and the use of the computer as well as the use of Wi-Fi are free of charge. 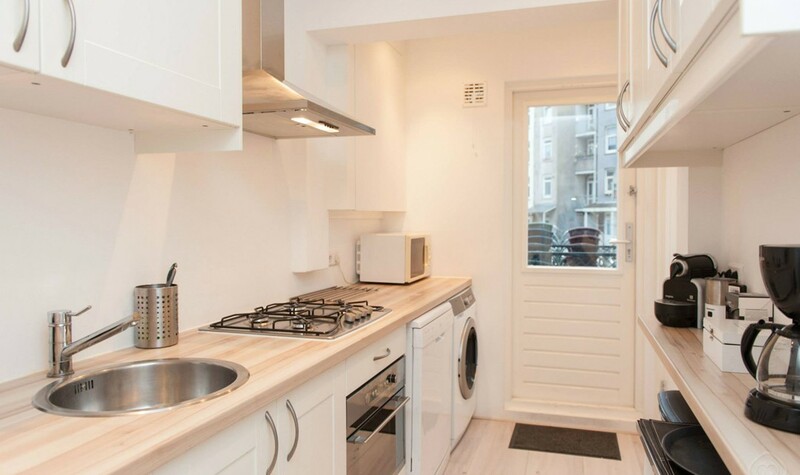 Your own pad in a groovy area of Amsterdam. 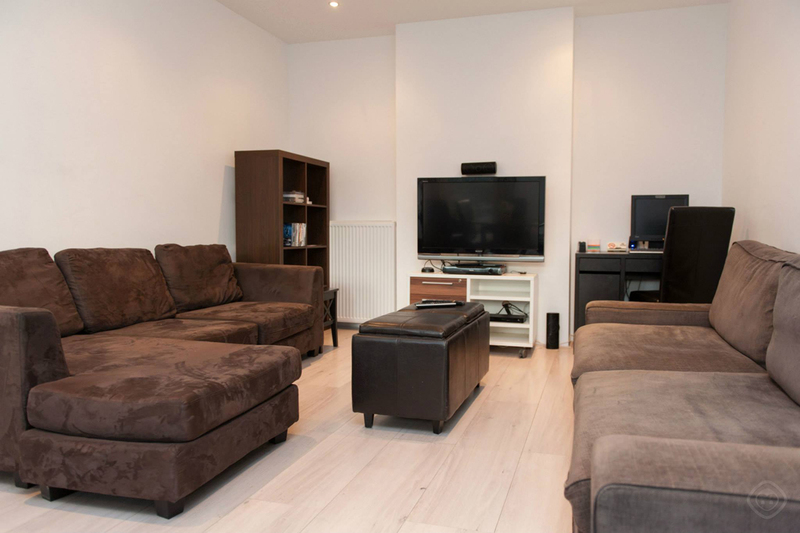 This holiday apartment has four bedrooms and can accommodate up to eight persons. 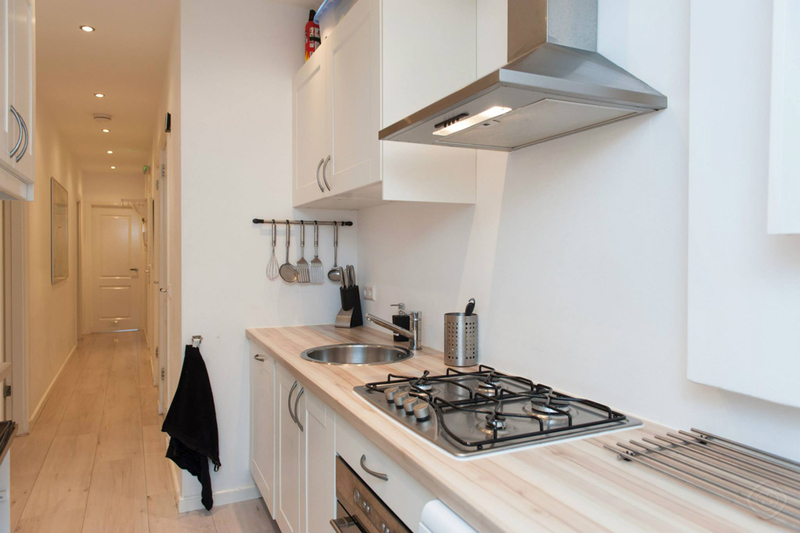 As soon as you enter the apartment and step into the long corridor, you notice that the apartment has a light and airy feel to it. The lounge area has a 50 inch flat screen TV, an audio system with iPhone charger and a computer with wired and wireless internet connection. 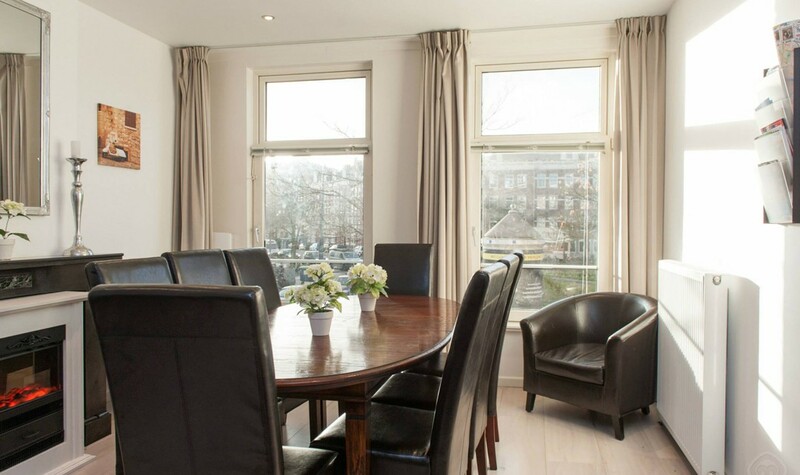 In the same space there is a large dinning table, where you can overlook the lively Hugo de Grootplein. 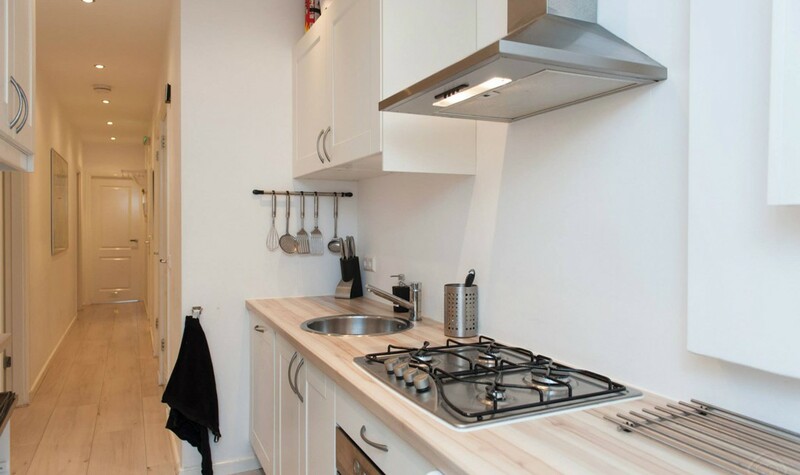 The kitchen is fully equipped for the preparation of breakfast, lunch and dinner; but with a bakery downstairs, two supermarkets around the corner and several wonderful restaurants, you might not spend much time in the kitchen. From the kitchen you get onto the outdoor space at the back, a perfect roof terrace for relaxing. 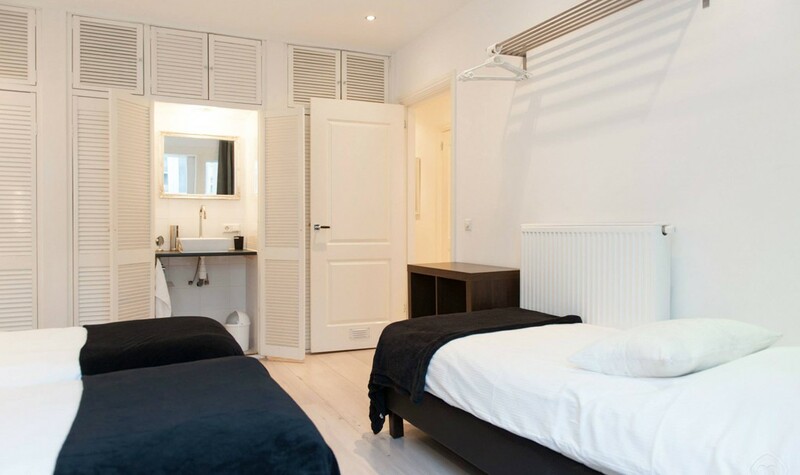 There is a smaller bedroom on the street/square side and a bigger bedroom at the back. The latter has a small sunroom off it, where – if necessary – an extra bed can be placed. 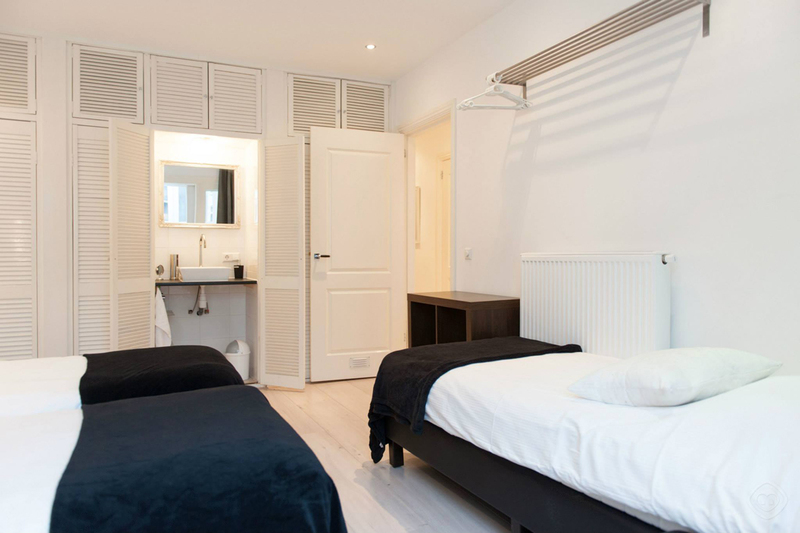 We highly recommend this holiday apartment, whether you are a couple travelling together, or with a group of friends. 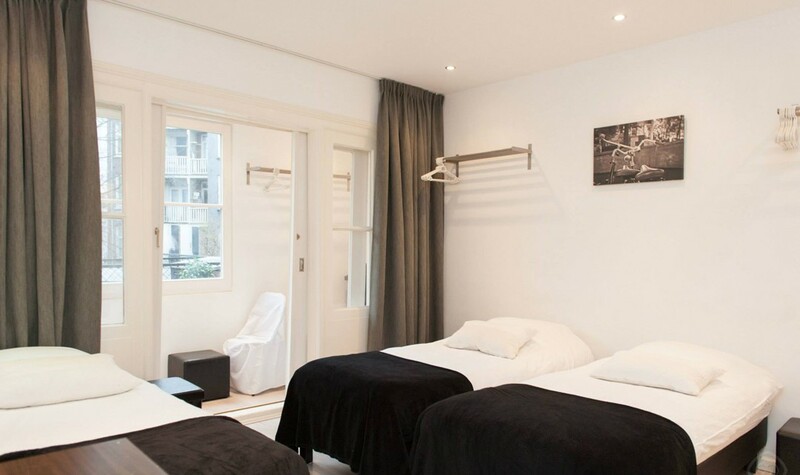 Although the price may seem high, this apartment sleeps up to eight persons so with more people it becomes more affordable. 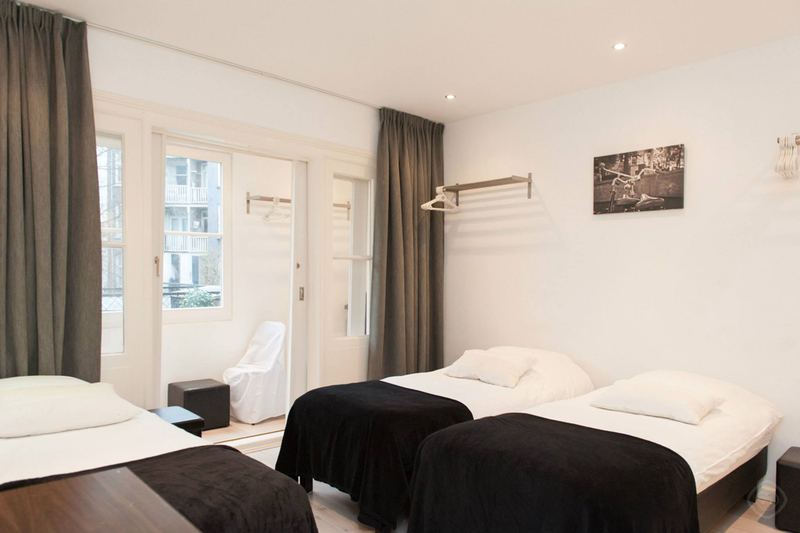 Leon is also the owner of Chariot Amsterdam Apartment on the Singel canal. 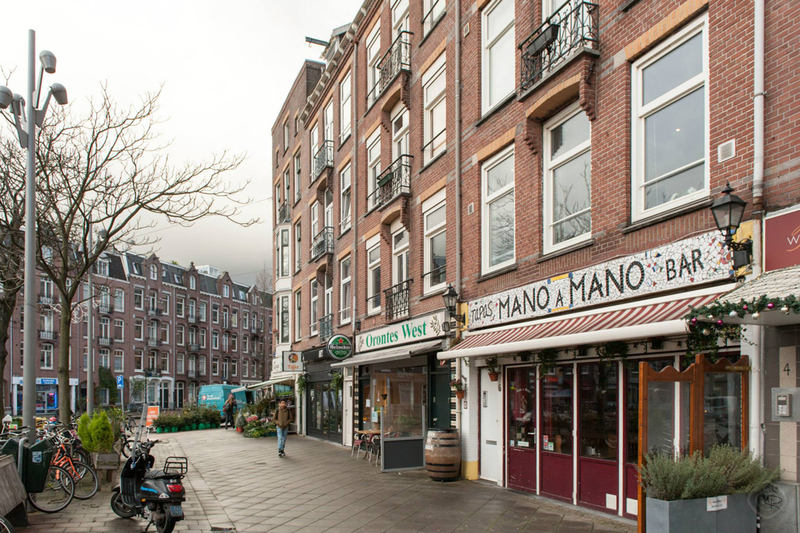 Close to the Jordaan area, but away from the busyness of the city, Hugo Plaza apartment is the perfect base for exploring Amsterdam. There is a fine selection of lively restaurants and bars right on your doorstep, such as Razmataz, Orontes West and Plato Loco. 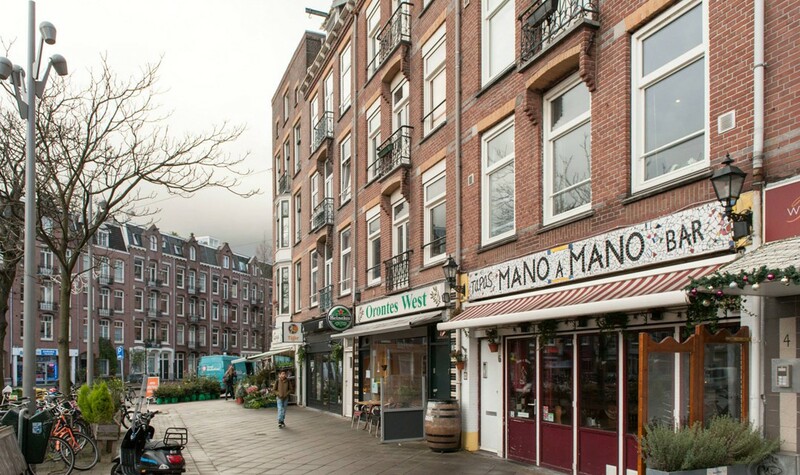 This up and coming neighbourhood bordering the city centre (15 minutes walk) will have you feeling more like a local than like a tourist. 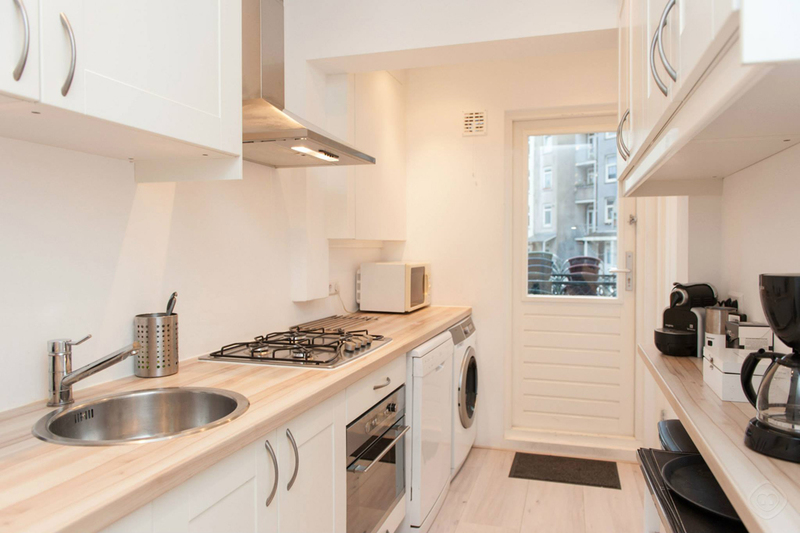 Hugo Plaza Apartment has double glazed windows and is well insulated. Apart from that they don’t have a sustainable or other conscious policies or activities in place.